I’m so not good at releasing products. As an artist I just go with the flow of what I want to design when I feel like it. But as a business owner this system doesn’t always work. When thinking about all of you – my awesome customers – I have to think one step ahead to make sure I have equally awesome product for you guys when you’re ready to shop! I’ve been doing a lot of planning lately – thinking about NSS for next year, what that means for the rest of this year, upcoming product releases and improvements, Unique LA prep…like I said. Lots of planning. But what has been difficult for me is executing that plan. I released our Mother’s Day collection back in our March post. You can’t believe how proud I was of myself to release it before April! In a couple weeks I’ll be releasing our new product which will be premiering at Unique LA! I just submitted our order to the manufacturer and I’m so excited to share it with you guys. 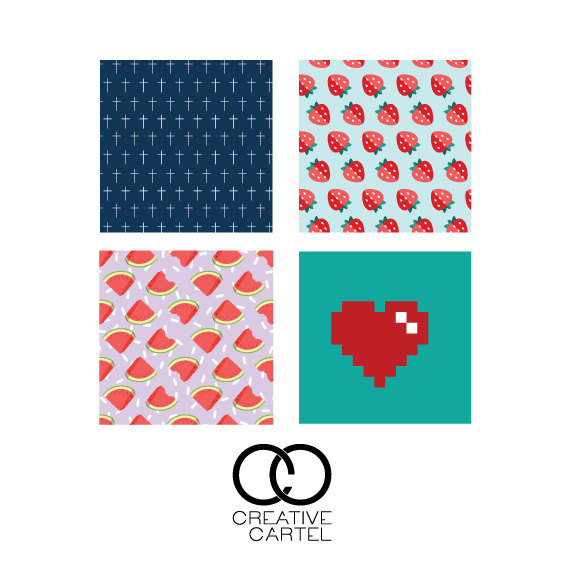 In the meantime here are some fun patterns we’ve been working on. I haven’t created patterns in some time and this was so fun for me! I can’t wait to brainstorm on the next wave of patterns I want to create as we expand our line. But first thing’s first – I’ve got to start thinking about photographing and showcasing these designs!